If the RS6 in standard trim simply isn’t enough for you, then supercar tuner Litchfield has the perfect riposte. By adding another 200 bhp and a huge helping of torque, the Gloucestershire tuner has created a truly practical, daily-driveable, supercar – with a simply enormous boot. 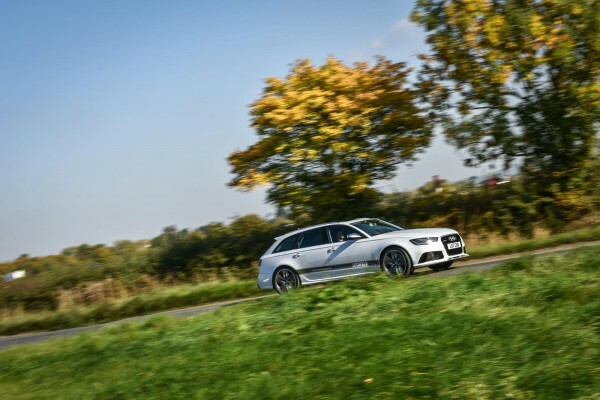 When Audi created the RS Avant range, it almost made the perfect car. Practical and stylish, yet exclusive without being flashy or pretentious. 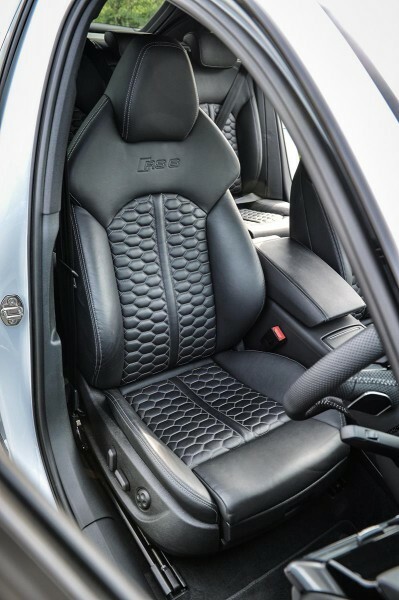 While the latest RS6 is potent enough for many, for a burgeoning group of owners, it really only forms the basis for creating something even more accomplished. For those lucky enthusiasts, when the thrill of a 552bhp commute becomes too mundane, Iain Litchfield is the man they increasingly turn to, in order to make things better. As a serial super-car tamer and tuner, with Land Speed Records and race championships to his name, Litchfield was quick to recognise the potential in this platform. To capably prove this point, the company’s latest incarnation of its all-new demo car puts out a genuine 750bhp… or put simply, at least 150 more than pretty much anything attainable to come out of Woking, Stuttgart or Maranello. 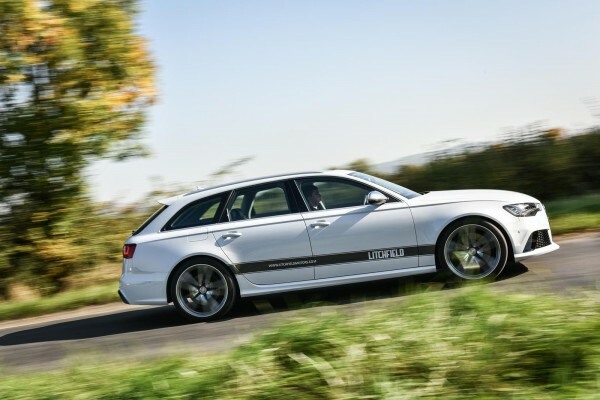 While that’s an admirable stance, it’s hard to argue that 750bhp isn’t a stellar amount of power for a family estate. For context, let’s look at a few key players. The Lamborghini Huracán has ‘just’ 602 bhp. The Porsche 911 GT3 RS – a scanty 500. 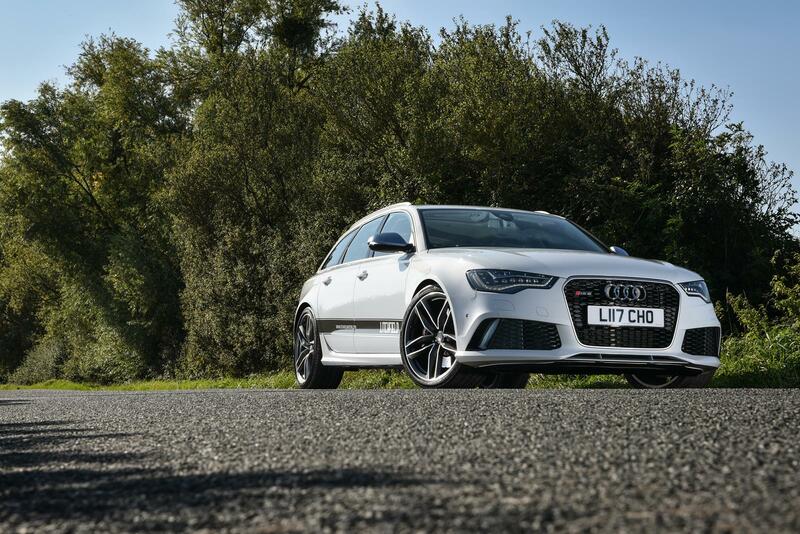 Of course, these cars weigh very little, but even when you look at 2.2 tonne heavyweight performance leviathans like Bentley’s GT3-R (which uses the same VAG sourced 4.0 TT engine) , with its grin-inducing 572bhp, then you start to understand that Litchfield really has made the RS6 very fast indeed. It has achieved this in its usual, efficient fashion, and with a cast of reassuringly accomplished names. After extensive flow analysis of the standard turbos and injectors, Litchfield’s team was happy that they could easily cope with the proposed power and torque figures. Next on the agenda would be improved breathing, as this was clearly where the standard Audi system was strangling the RS6’s potential. On the intake side, the factory airbox has been removed entirely. To be replaced with a rather smart carbon fibre airbox of Litchfield’s own design. Dyno tests proved this to be able to flow significantly more than the OEM set-up, which would bode well for what was to come. Balancing this new-found efficiency, Litchfield then fitted a full Akropovic exhausts system, allied to their own custom-fabricated 90mm downpipes, which replace the restrictive factory catalysts. 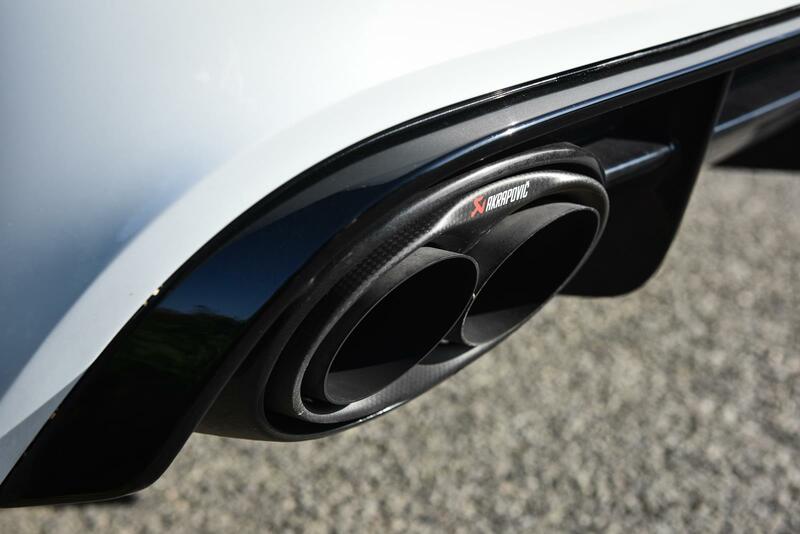 The exhaust is a key part of this conversion, as it gives the RS6 an aerobic capacity that the factory, with its need to tick its many legislative boxes, could only ever dream of. As well as looking much nicer and flowing more efficiently (the exhaust adds decent torque and power by itself), the Akrapovic saves a useful 8kg over the OEM system. It also creates a soundtrack that wouldn’t disgrace itself at the Albert Hall – but we’ll come to that in a moment. Crafted in lightweight titanium, this exhaust system has cast collectors and consists of three silencers. 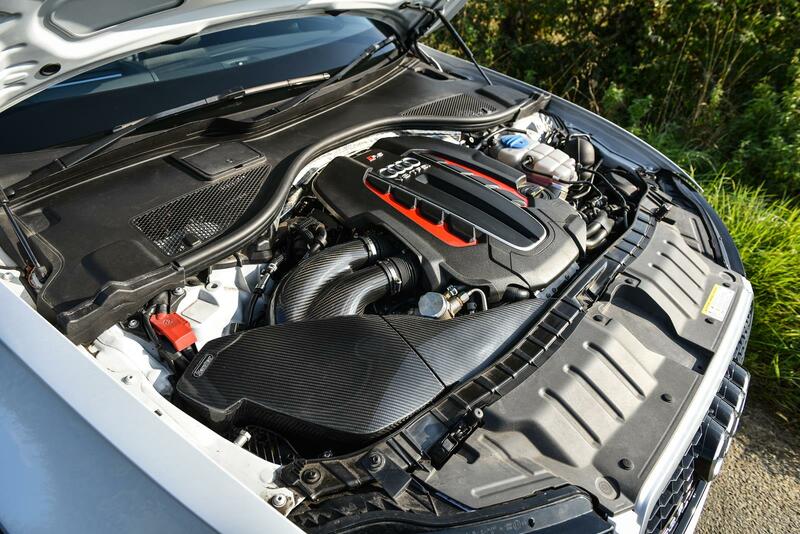 The central version of which features a cross-piece inside, which helps to improve power and ‘tune’ the exhaust note – particularly under full throttle. The valves of the system are designed to open and close in line with the RS’ standard electronics, giving this system the full functionality of the Ingolstadt parts, even if the flow rates and sublime noise that emanate from it across the rev range are anything but! 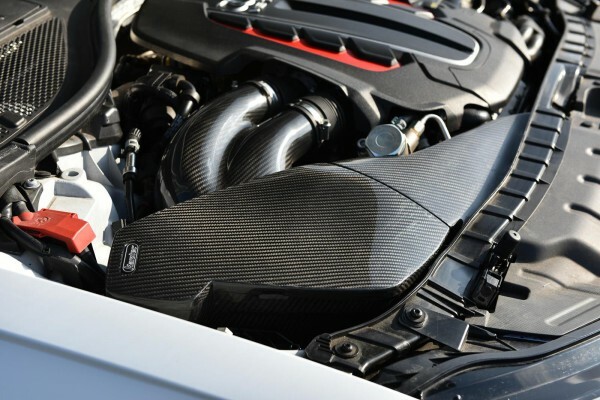 These two components really are key to the Stage 3 conversion, as they allow the car to make an additional 50bhp above Litchfield’s Stage 2 package – which has to make do with a mere 700bhp, of course. 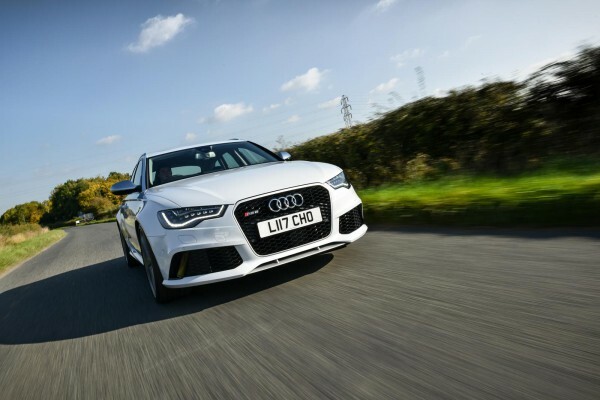 With the powertrain package fully signed off, Litchfield fettled the edges of the Audi’s already excellent chassis with a couple of tried-and-tested upgrades that really make a difference to the surefooted feel of the whole package. A couple of hours spent on Litchfield’s laser-alignment rig has resulted in a minute-perfect toe, camber and caster set-up that means the big Audi can now be placed with the utmost precision on the road, while a full set of Goodridge brake lines give a subtle improvement in feel and precision to the feel of the brake pedal. 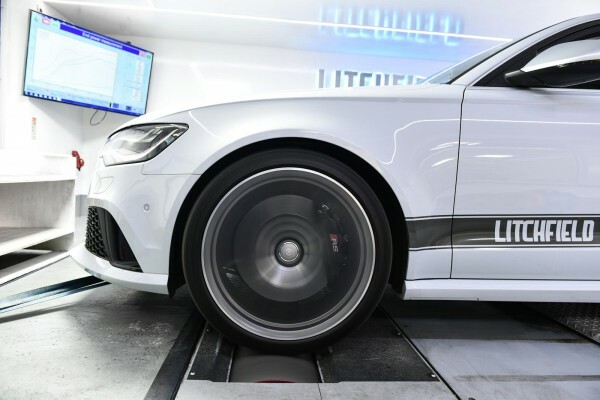 Allied to race-spec brake fluid, they ensure that the Audi’s stopping capabilities more than keep up with its new-found performance. Currently, the factory rubber provides the grip on this demo car, but with a set of sticky Michelin SuperSports about to be added into the mix, expect the bar to go higher still in future. Out on the road, the work that has gone into this conversion is immediately apparent. On a micro level, the small suspension changes make a big difference to the crispness of this big estate. The steering is exceptionally communicative for a large 4WD car, and the weight and feedback are just right, with the car feeling very neutral in the turns. During our chat, Iain was keen to point out how much refinement has been applied to the throttle maps on this car, particularly with regard to low-speed cruising and bimbling around town. Here, the RS6 feels no different to its factory forebear. 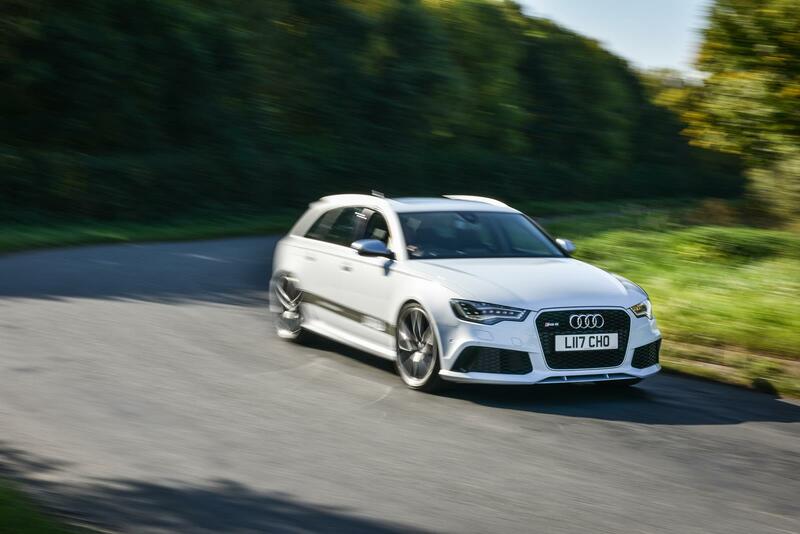 Sure, it’s able to shout a little louder if you want it to, thanks to the Akrapovic’s integration with the Audi’s exhaust control, but if you keep everything in ‘Comfort’ the Litchfield RS6 does a very passable impression of a docile, refined, well-behaved family commuter. That all changes in an instant however, the second you flick the Akrapovic into shouty ‘Dynamic’ mode and start mashing the accelerator into the carpet. At this point, all 750 horses make it abundantly clear that they’re very angry and willing to gallop – bellowing with a raucous, sonorous holler through those fat titanium pipes. The effect is mind-blowing. This car can pick up its skirts and shovel like no big estate I have ever sat in. Let’s be honest, it’s faster than most of the exotica I have ever sat in too! When asked to do so, the Litchfield car simply squats and fires – with the immediacy and drama of a high explosive device. If you’re going to play at this level, prepare yourself for a visceral assault as your ears revel in that simply delicious exhaust note while your eyes struggle to adjust to how fast the horizon approaches and your brain realises just how fast it as having to think at this velocity. Iain wasn’t lying, it IS a very civilised car, but on a public road, with that much immediate power and that much gut-wrenching torque, it does make you adjust your driving style in order to make the most of what’s on offer. 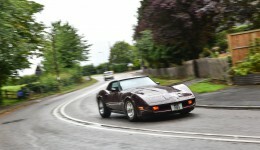 This car isn’t just fast, it can be in the next postcode before your cerebral cortex has had the chance to realise that you’ve even started moving. 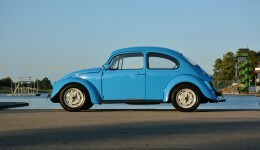 Not concentrating is not an option when you invite this car to play..